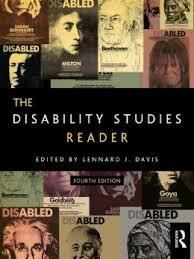 Lennard Davis writes about biocultures, disability studies, life in the academy and more. His scholarly articles have appeared in a variety of well-known journals including NLH, Journal of Visual Culture, PMLA, Eighteenth Century Fiction, American Literary History, The Age of Johnson and College English. Davis’s op-ed pieces have appeared often in The Chronicle of Higher Education and other publications. He also has been interviewed in print by a number of media outlets. His commentaries and radio interviews have aired in broadcast areas across the nation.